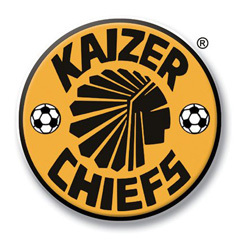 Cape Town - Kaizer Chiefs football manager Bobby Motaung has confirmed the club are working on a deal for James Keene, but insists any agreement will only become active from next season. The Englishman recently underwent trials at Naturena where he seemingly did enough to impress, with Amakhosi confirming their desire to sign the striker. However, with the 29-year-old still in need of a South African work permit and only a handful of games left in the Premiership season, Motaung has revealed that any decision will only be made with a view to next term. "We can't sign him (Keene) with six (league) games to go. His work permit might take time," Motaung told City Press. "We are negotiating with him to sign for next season as our only challenge now is the league." Chiefs are currently top of the Premiership standings, eight points ahead of second-placed Mamelodi Sundowns - who have a game in hand - with the sides still to play each other in the third-last game of the season at Loftus Stadium on April 29.